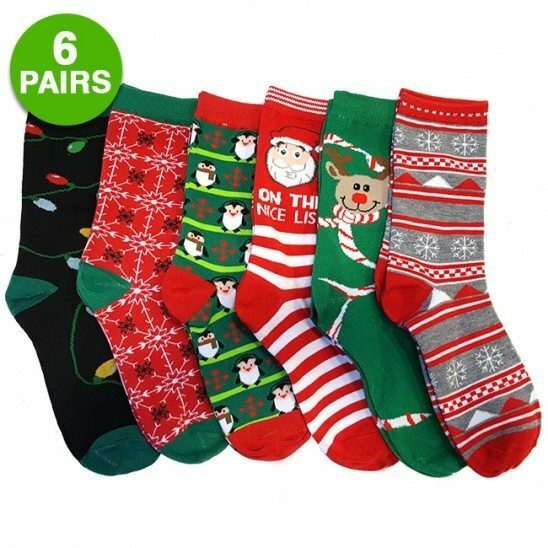 6-pack: Christmas Style Assorted Socks Only $6.99! You are here: Home / Great Deals / Christmas Deals / 6-pack: Christmas Style Assorted Socks Only $6.99! Ships FREE! 6-pack: Christmas Style Assorted Socks Only $6.99! Ships FREE! Order a 6-pack: Christmas Style Assorted Socks Only $6.99! Ships FREE! Silly Christmas socks are really a necessity! This set will take you all the way to New Year’s Eve! Twas the night before Christmas, when all through the house, not a creature was stirring, not even a mouse. Celebrate the holidays in style with these lovely women’s christmas socks! Click here to check out more Great Deals!